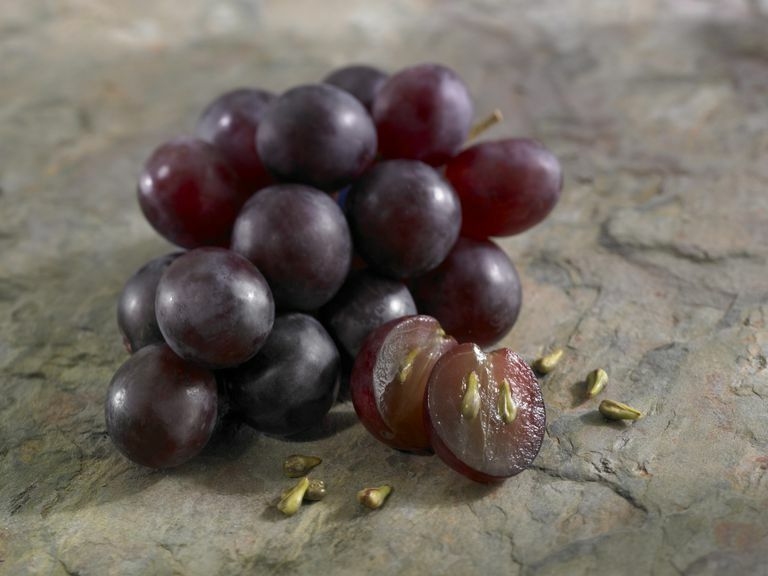 Grape seed extract is a natural remedy often recommended for chronic venous insufficiency. Some proponents of grape seed extract suggest that the antioxidants found in grape seed can help fight chronic venous insufficiency by strengthening the blood vessels and improving circulation. Grape seed extract is also touted as a natural remedy for several other conditions related to the heart and blood vessels (including atherosclerosis, high blood pressure, and high cholesterol). Chronic venous insufficiency, a condition that occurs when veins fail to efficiently send blood from the legs back to the heart, may lead to problems like varicose veins, ankle swelling, pain, itchiness, and nighttime leg cramping. Chronic venous insufficiency generally results from partial vein blockage of blood leakage around the valves of the veins and is often treated with compression stockings, lifestyle changes (such as avoiding long periods of sitting or standing), and/or surgery. For a 2005 report published in the Cochrane Database of Systematic Reviews, investigators sized up the available research on the use of phlebotonics (a class of medicines used for vascular disorders) in treatment of chronic venous sufficiency. The reviewed studies included one clinical trial that involved the use of grape seed extract. In their analysis of study results, the report's authors concluded that there was not enough evidence to support the use of grape seed extract in the treatment of chronic venous insufficiency. Due to a lack of research, the effects of long-term use of grape seed extract are currently unknown. Grape seed extract may trigger a number of side effects (including itchy scalp, dizziness, headache, hives, indigestion, and nausea). There's also some concern that taking grape seed extract may increase your blood pressure. If you have (or are at risk for) high blood pressure, seek medical advice before using grape seed extract. Widely available for purchase online, grape seed extract supplements can be purchased in many natural-foods stores and in stores specializing in dietary supplements. In many cases, the grape seeds used to create grape seed extract are obtained from wine manufacturers. Due to a lack of supporting research, grape seed extract cannot currently be recommended as a treatment for chronic venous insufficiency. If you're considering the use of grape seed extract in the treatment of chronic venous insufficiency, make sure to consult your physician before starting your supplement regimen. Self-treating chronic venous insufficiency with grape seed extract and avoiding or delaying standard care may have serious consequences. Martinez MJ, Bonfill X, Moreno RM, Vargas E, Capellà D. "Phlebotonics for venous insufficiency." Cochrane Database Syst Rev. 2005 Jul 20;(3):CD003229. National Center for Complementary and Alternative Medicine. "Grape Seed Extract: Science and Safety." NCCAM Publication No. D370. Last updated July 2010. Natural Standard Database. "Grape seed (Vitis vinifera, Vitis coignetiae)." Zhang Y, Shi H, Wang W, Ke Z, Xu P, Zhong Z, Li X, Wang S. Antithrombotic effect of grape seed proanthocyanidins extract in a rat model of deep vein thrombosis. J Vasc Surg. 2011 Mar;53(3):743-53.